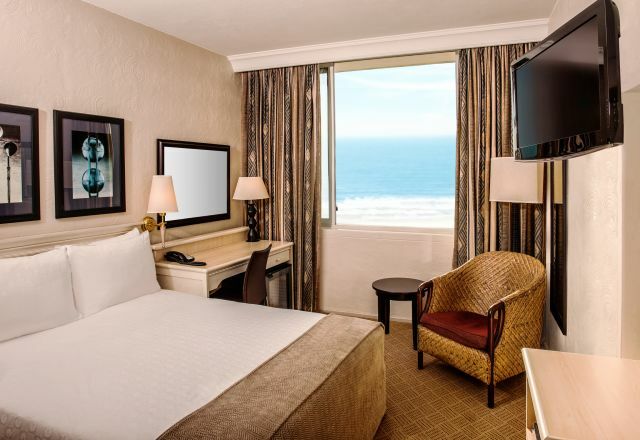 With postcard-perfect sea views or partial city/ocean views our Standard Rooms are elevated beyond the ordinary. Sleep soundly in a very comfortable Queen or King sized bed, soak in the Durban beachfront views and relax with a book in the reading chair or stay productive at the personal workstation. In-room relaxation is complemented by a large flat screen TV where you can watch DStv with movie channels, and of course free WiFi. Join the Tsogo Hotels Rewards programme and save on your room rates, plus, as a member, you get to boost your free WiFi to 2gb a day.